In the second of our two season 17 launch shows Oliver makes his Splat! Show Debut. Oliver wants to be one of our Splat! Stars. But does he have what it takes? During the casting process with Oliver, he expressed interest in being a Splat! regular and becoming one of our Splat! Stars. Obviously this was a good sign. He knew exactly what he were looking for in our guests who grace our Gunge Tank. Oliver arrived and his Splat! Star audition began. What really matters is what you, as our fans, think so go ahead and download Oliver’s show and please let us know if you think he has what it takes to become one of our Splat! Stars. We think he certainly fits the role well, but we had the pleasure to shoot with and learn more about Oliver off camera. Enjoy our second season 17 launch show Splatters! 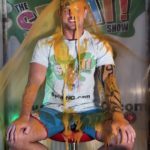 The Gunge Tank Interview: Just why is Oliver so interested in becoming a Splat! Star? He is a Gunge Fan? This and the usual topics about Oliver are covered in his Gunge Tank interview. How will Oliver react to his first Gunging in the tank? It’s time for the interview to end and the Gunge to flow. Lucky Or Mucky: The Return! : After taking a break last season, the Splat! Show classic game Lucky or Mucky is back! This season we will be making alterations to this classic game as the season progresses. Marius plays a slightly tweaked version of Lucky Mucky. The risk is that Oliver will gunge himself if he is unlucky and pulls the cord releasing the tank above his head. Each incorrect answer Oliver has to select a number, it that number is unlucky he then has to select a cord. How far will Oliver get? Or will he get mucky very quickly when his luck runs out? Custard Pie Round: During the Marius shoot, one of our fans who watched the shoot live contacted us requesting that pies be used for Oliver shoot. Well, if you know us at all you know we try our hardest to meet our fans expectations. With that in mind we gave Oliver a custard pie round. It turns our that Oliver is pretty good at our quizzes, so it appeared he would escape all the pies. He very nearly did until the end of the quiz where he slipped up and the pies came coming. 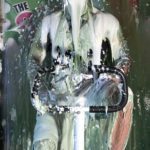 Foam Me Up: After Oliver escaped nearly all the custard pies in the previous round we knew we had to an extra game to his show to keep our fans happy. So we pulled out our favourite game, Foam me Up for Oliver to play. This time the quiz questions were a little harder but Oliver still fought against the foam until the very end. He was one question away from escaping the Gunge, but thank the gunge gods, he failed and the tank was unleashed. The Splat! 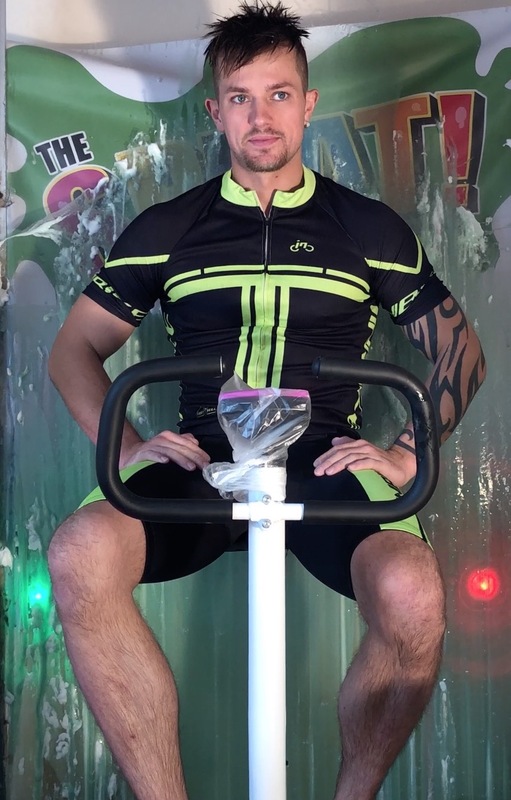 Debrief: Having nearly suffocated in the gunge during Tour De Gunge, Oliver has recovered and it’s time to bring his Splat! debut and our second s17 launch show to and end. So how did Oliver find his time on the Splat! Show? Does he still want to become a Splat! Star? We find out in the Splat! Debrief before giving him his last ever Gunging in the show. Will it be his last ever Gunging on the Splat! Show? That really is down to you our fans if Oliver get’s his wish and becomes a Splat! Star regular. We know we want him back but it’s not up to us really. Video Details: Video Length: 57 minutes and 00 seconds. Presented in 4k and HD. Help playing videos. Aspect ratio of images have been altered and cropped from the video download. Video download plays full screen in 16:9 ratio. Images presented feature one before, one during and one after a Gunging / game. Oliver took on our famous Splat! Storm for the pre-shoot exclusive. Only available to viewers who ordered before the close date. Not currently available on the website. Oliver was up against Marius in The Gunge Tank Vote. Viewers voted for Oliver to get the instant Gunging in the tank. Results video was sent to vote participants only.